Things are going to get a little freaky-naughty. While I was in Seattle attending IFBC I had the opportunity to try various kinds of Theo Chocolate. One particular flavor, the Coconut Curry Milk Chocolate, was astoundingly good. I’m not kidding when I tell you it was the best bar of milk chocolate I had ever tasted. There was creamy, sweet milk chocolate, crisp flakes of coconut, and a subtle spice from the red curry. Bliss is truly the only word I have to describe it. So, I have been working out in my little brain how I could use those same flavors in a dessert, and I think I have it. 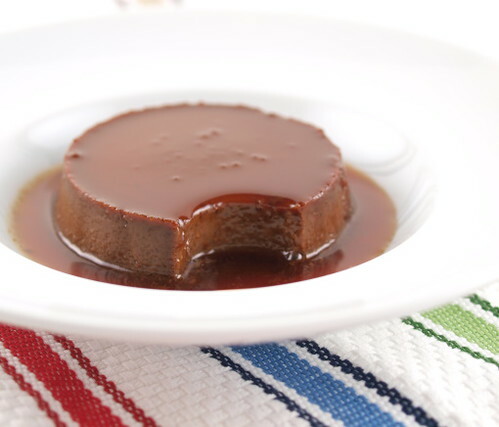 Crème caramel, or flan, is a creamy baked custard with a soft caramel top, and it is the perfect base for my new flavor obsession. 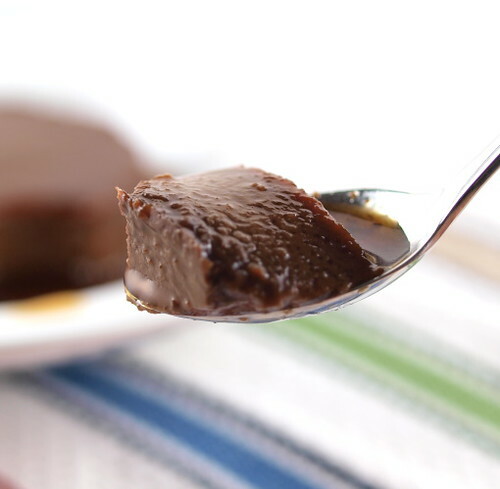 Red curry paste, the ingredient that may be making you think ‘WTF?’, pairs shockingly well with chocolate. The curry adds a savory heat to the naturally robust flavor of the chocolate. 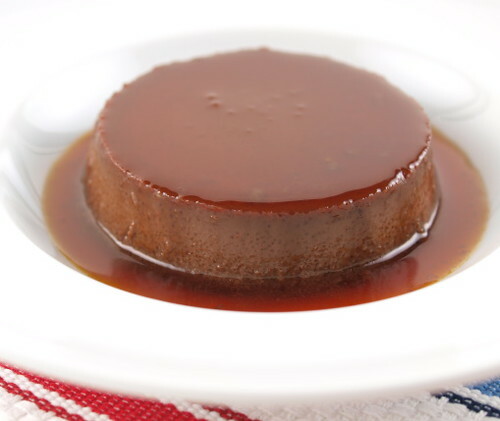 Marrying it all together is the burnt sugar depth of the caramel sauce and the mild sweetness of the coconut milk. When combined, it gives the chocolate infused curry a brightness that makes this dessert devourable. I know it sounds like it should not work, but I swear to you it does. Next time you want to take a walk on the wild side give this a try! 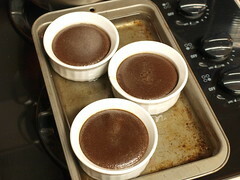 Heat the oven to 300 F and place 8 – 6 ounce ramekins in a deep sided baking dish. 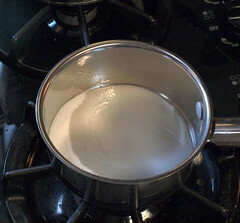 In a small pan combine 1/2 cup sugar with the water. 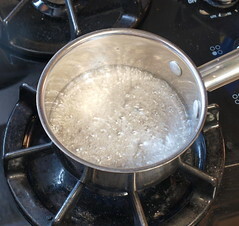 Over medium-high heat bring the mixture to a rolling boil. Continue cooking, gently swirling the pan occasionally, until the mixture becomes a deep amber color, about 4 minutes. Immediately, and carefully, pour the mixture into he ramekins. Set aside. In a large bowl whisk together the eggs and the remaining sugar. Set aside. In a medium sauce pan combine the coconut milk, cream, cocoa powder, curry paste, salt, and vanilla over medium heat. Stirring constantly bring the mixture to a simmer. 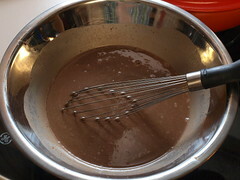 Remove the mixture form the heat and add the chopped chocolate. Let it stand for one minute then whisk until smooth. 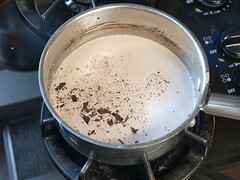 Slowly whisk the warm milk into the eggs. 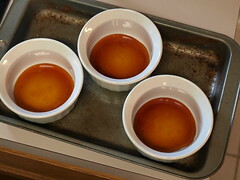 Strain the mixture into a large measuring cup or pitcher then divide the mixture evenly into the ramekins. 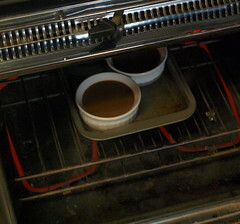 Fill the baking dish with hot water until it reaches half way up the sides of the ramekins. Bake for 20 to 30 minutes, depending on the shape of your ramekins. They are ready when the edges are just set and the center is slightly wobbly. Let the custards cool to room temperature in the water bath, then cover with plastic and chill for at least two hours, or overnight. 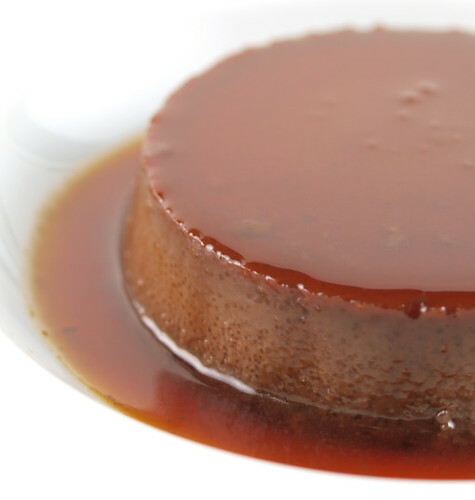 To release the crème caramel, run a thin knife around the edge of the custard. Dip the bottoms of the ramekins into warm water for a few seconds then invert into a serving plate.